Cross and Cutlass: TWO New Book Collections and Win a FREE Book! TWO New Book Collections and Win a FREE Book! You may not be aware, but there are two new book collection releases this week which include my stories!! The first one is an ebook collection of Romances from best-selling authors. Here's more about it. Available for only seven weeks. Sixteen dollars worth of books for four dollars in this limited-time collection on sale from May 23 - July 9. Lose yourself, heart and soul, in five of the best romantic stories on the inspirational market. 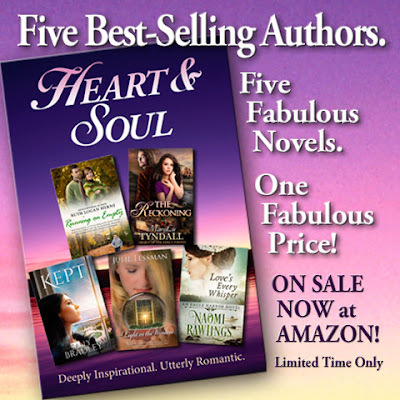 Spanning the 1600’s to present day, these novels will not only make your heart beat a little faster, but they will inspire you, uplift your spirit, and draw you closer to the One who will never leave you. Written by five best-selling, award-winning authors, this collection will take you on a journey you won’t soon forget and will leave you with a smile on your lips, joy in your spirit, and a song in your heart. As you can see, my novel, The Reckoning is included in this fabulous collection. You simply can't beat the price of 3.99! That's cheaper than The Reckoning itself! I know some of you have already ready that novel, but it's well worth the purchase to get the other four novels. 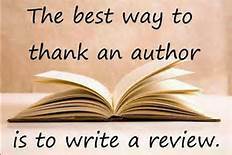 I can vouch for these authors, they are fantastic! If you want to know more about the authors and books, click HERE to go to Amazon and read the detailed description and purchase the EBOOK! 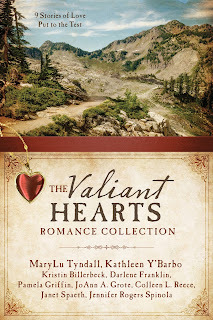 The second collection I'm a part of is The Valiant Hearts Romance Collection, which includes my short civil war story from Rendezvous at Central Park. The other authors are Kathleen Y'Barbo, Kristin Billerbeck, Darlene Franklin, Pamela Griffin, JoAnn A , Colleen L. , Janet Spaeth, and Jennifer Rogers Spinola. Join brave women who take on wars, social injustices, and westward expansion, living to find love andbuild a legacy in these nine stories of historical romance. From Virginia west to Oregon, meet Lucy, a nurse; Helen, a bookkeeper; Permelia, a farmer; Birdie, a seamstress; Francie, a writer; Collette, a widow; Christiana, a midwife; Glorie, a nurse; and Josephine, a maid, who each have their ordinary lives disrupted by mysteries and challenge—and extraordinary love. That's NINE stories for one low price! I happen to have EIGHT paperback copies of this collection that I'd love to give away to you, my faithful readers. You can enter to win one of them below. I will pick eight winners on June 10th! I love your books...thanks so much! I am currently re-reading the CharlesTown VA series so I can read Charity's Cross next. I LOVE your books!! I just finished the story of Hope and Nathanial. WOW - I loved how your book brought out that anyone with a background like Hope can have hope that Jesus does love her no matter what she has done in her past. He forgives and forgets!! Thank you Jesus!! Thanks again for letting the Lord use your gifted talent of writing. Thanks so much, Susan! I love the story of Hope and Nathaniel! I see much of myself in Hope before the Lord rescued me. I have "The Valiant Hearts Romance Collection" on my wish list. Can't wait to read it! The Valiant Hearts collection looks like a wonderful way to spend a few hours! Thanks for the giveaway. Did I read your story in this book? I would love to win a copy of this collection. It wouldn't be right not having all of your books on my shelf. I now follow you on Book Bub. I hope you are having a great time with your mom. Praying for a safe visit and for safe travels coming home. Not sure if you've read this story, Chappy... It's set during the Civil War. Hugs! Thanks everyone! I can't seem to reply individually here on my IPAD so I'll just thank you all in general. I appreciate very much your kind words and interest. I'm sitting here on the back porch of my mother's cabin gazing at a beautiful forest and raindrops are tapping on the leaves, serenading me. So peaceful! And unlike California. LOL Blessings! Yes, unlike California...especially today. It's already 81 degrees and it's only going on 1:30. Enjoy the peacefulness and your family. I just purchased the 5 books. I a always looking for new authors and can't wait to start this set. Thank you so much, Carrie! 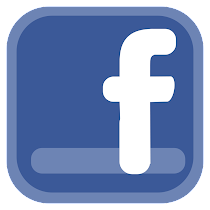 I hope you enjoy the stories! I would love to win a copy. I love the multi author books. Helps me find new authors. Thanks for the giveaway and have a great weekend. Always love your books. Some of the authors in the collection I haven't read. Looking forward to reading them too. Thank you for the free e-book. Thanks,. Yes, Barbour does a great job! The link for BookBub didn't work so I just went to my BookBub account and found you and I am now following you on BookBub. Just wanted you to know. Thanks for the giveaway. I just re-read all 4 books of "LEGACY OF THE KING'S PIRATES". I love your books. Thank you!! So glad you liked my pirates! "The Valiant Hearts of Romance Collection" sounds wonderful. Thank you for the opportunity to win a copy. Would really like to read your books. Thanks for the chance. Sounds like another winner! Shucks, I missed out on the free book.. I was out of town at a memorial service :( thanks for the chance to win this one!